Head lice can get the best of any parent. 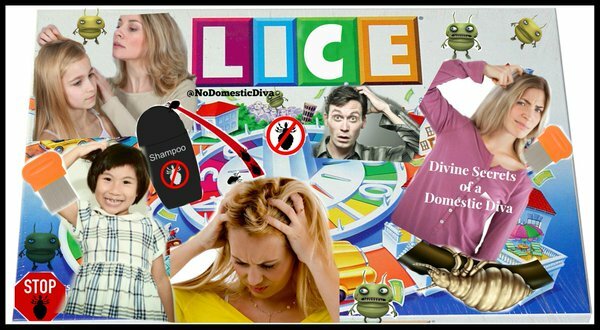 If head lice outbreak affected you or your family, you are not alone, we put together a list of funny tweets from parents that sum up the nightmares of lice outbreaks and may leave you itching your head. Fortunately you don’t have to set your house on fire or give up your children when they bring home lice from school. Give us a call to get rid of lice in just one appointment. Me: there's a head lice outbreak at my kid's school. Parenting tip: If your kid ever gets lice, make sure you send them to the local orphanage with the best YELP reviews. Lice is the herpes of kindergarten. Oh just scrolling through a story on super-strains of lice with one hand and shaving all of our family's hair off with the other. 2am and I'm sneaking around my house with a headlamp on giving my sleeping children lice checks. You know just another normal Sat morning. One of my son's T-ball teammates has lice & the kids have been sharing helmets. Good news is we're changing team name to The Bad News Hairs. Four out of five moms agree that lice will give you a nervous breakdown. And even the fifth mom is just pretending to hold it together. It's hat day at school. I'll expect the lice out break letters in about 3 days. I don't know why my place isn't moving on air bnb when the description repeatedly emphasizes that it's lice-free. There really needs to be a super-sympathetic "I'm sorry your kid has lice." emoji. Someone? Please? Is it normal for a grown man to cry after getting the first head lice awareness letter from school? It only took my wife mentioning "lice" once for this whole Burger King play place to clear out. The family that removes lice together, stays together. Mostly because no one else wants them. In over 11 years of parenthood we've never yet had lice. Boys, I will always be there for you…that is unless you have lice. Then it's feed yourself and find your own damn way to school. Lice really prefer clean hair. –what I tell myself every night when I let my kids skip washing their hair. You'd be amazed at how many commitments you can get out of for the week when you get lice from your kids. School sent a note home with my 5yo that someone had lice in his class. In unrelated news I broke out in hives & burned all our belongings. I know I've taught my daughter well bc I overheard her saying, "My Barbie can't share her crown with you because she doesn't want lice." One thing they don't tell you before you become a parent is just how much you will learn about lice. I have a Ph. Delouse. Parenting tip: Never have kids. They might get lice.